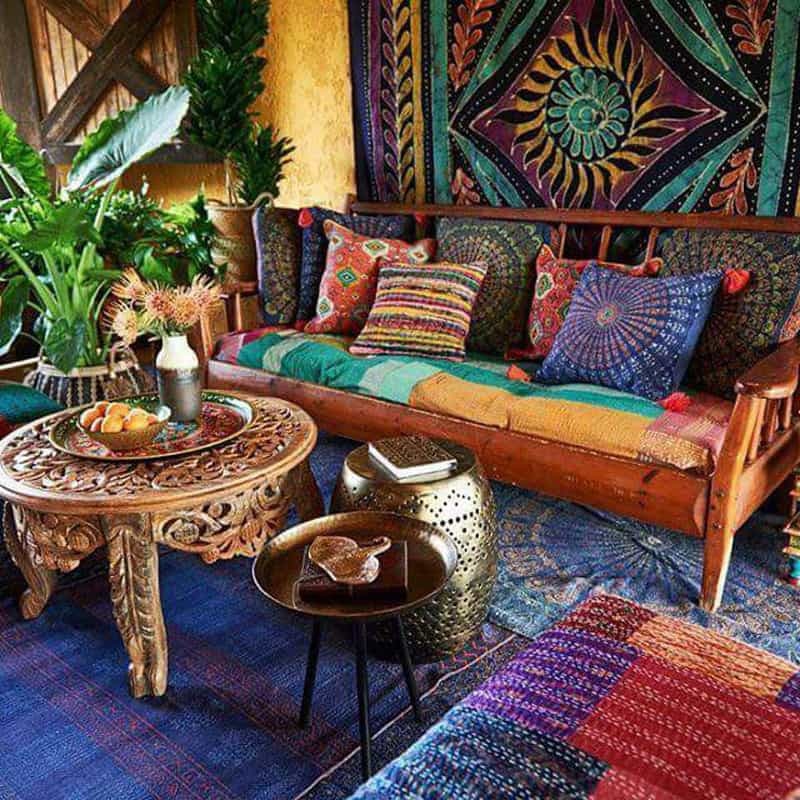 Let’s look at a few key elements that make a bohemian décor what it is, right from using vintage furniture to opting for lanterns and light fittings with a Moroccan touch. 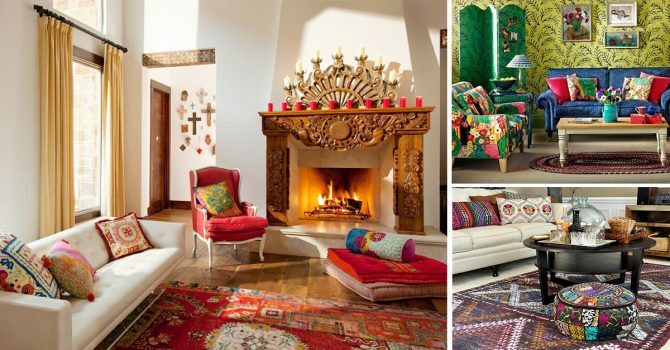 The most important thing about a bohemian home is the bold color scheme. 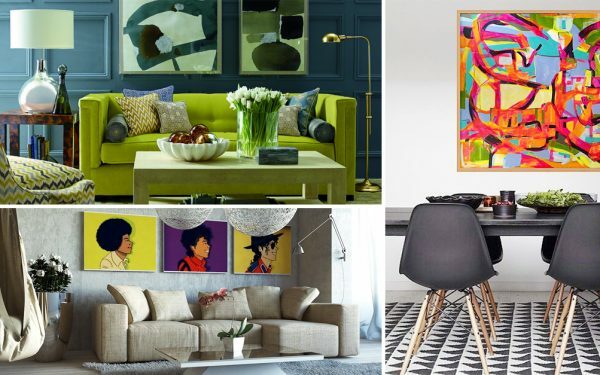 The colors you can choose from would be deep maroon, purple, electric blue, hot pink, and a bright sunny yellow. It’s these colors that provide most of the visual appeal. 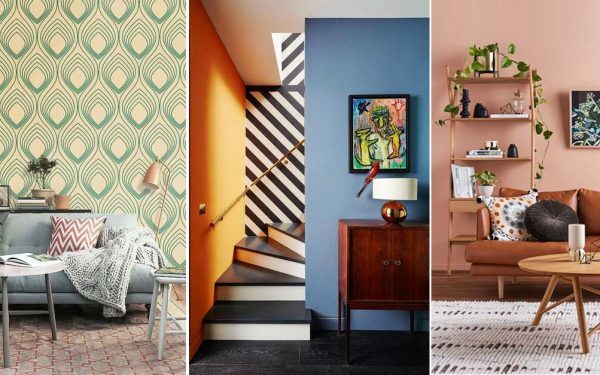 This can be done with a wall painted in a bold color, an accent wall with a colorful wallpaper, an upholstery done in a bright color or even a window treatment that uses bright and vibrant hues. 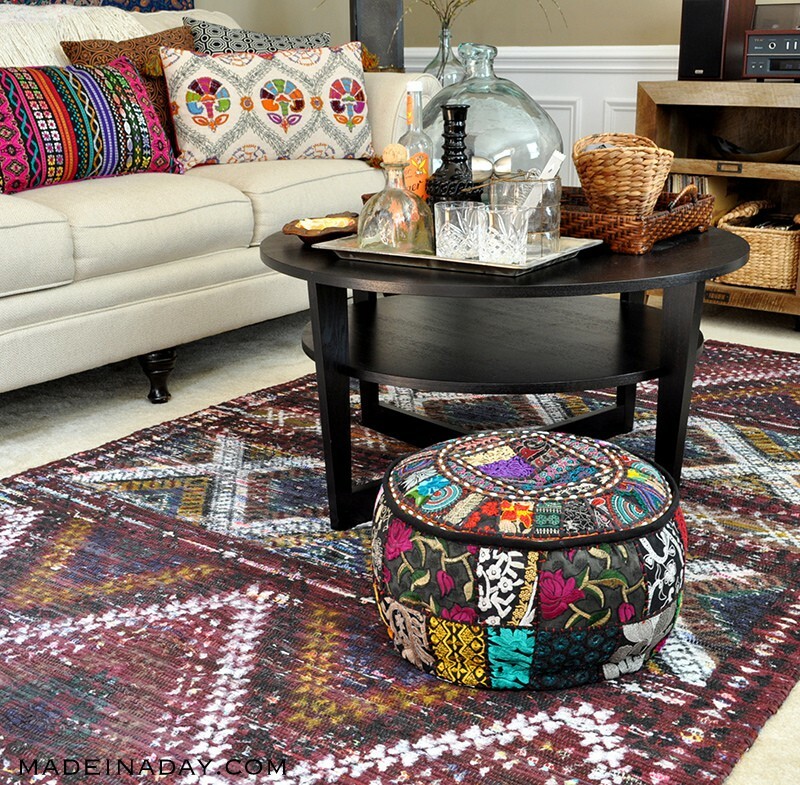 It’s important that you choose items with multiple color combinations and patterns. 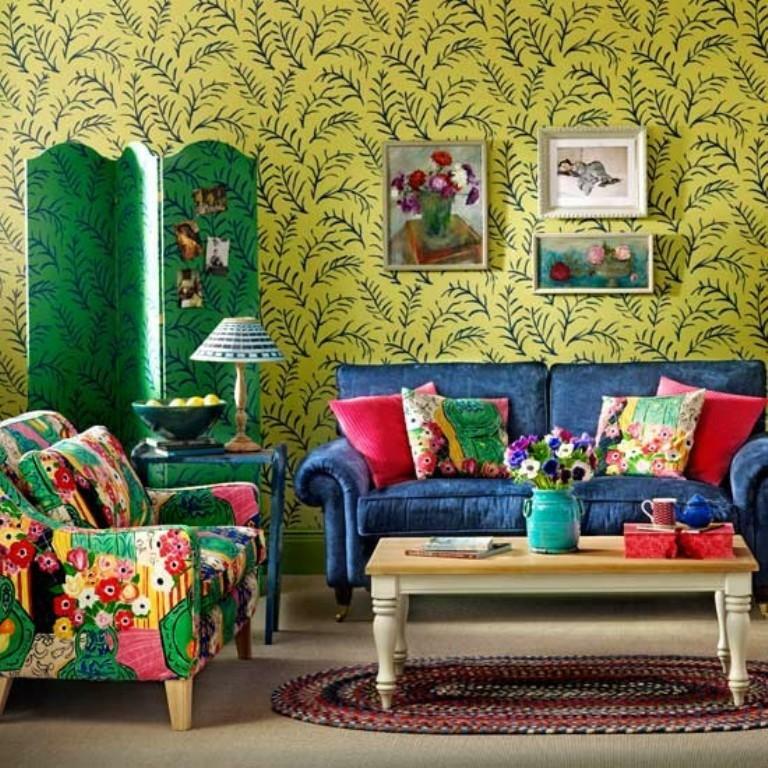 The next thing you can do is to mix the patterns on the fabrics that you choose. 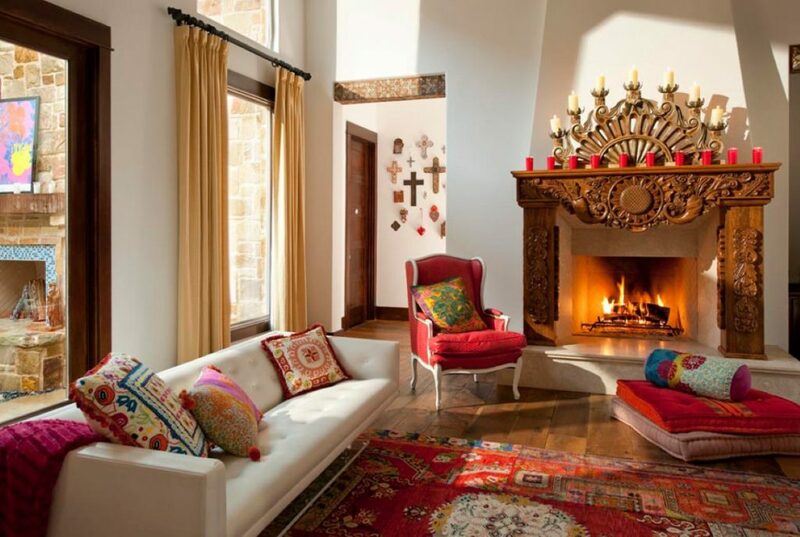 Bohemian décor borrows a lot from the cultures of Latin America, Africa, and India. 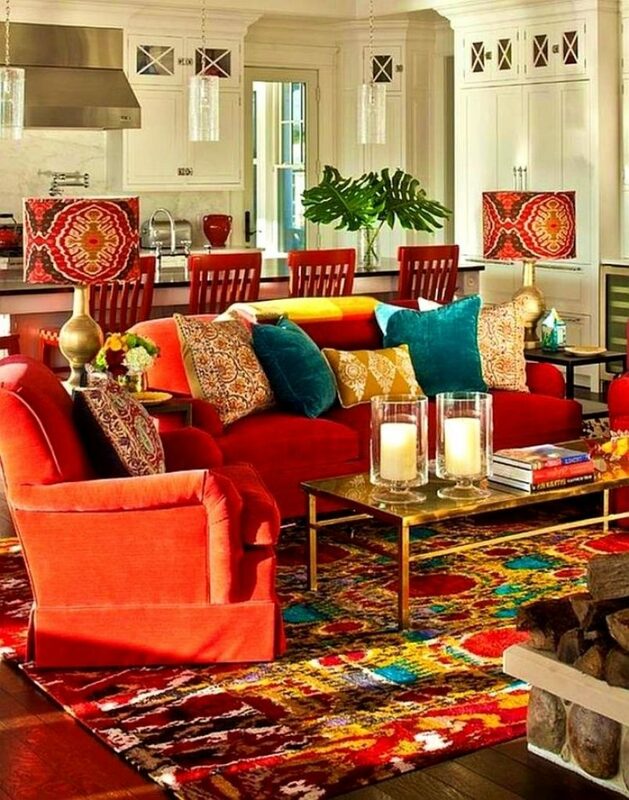 Which is why using ethnically rich fabrics to give a space visual appeal is a great idea. 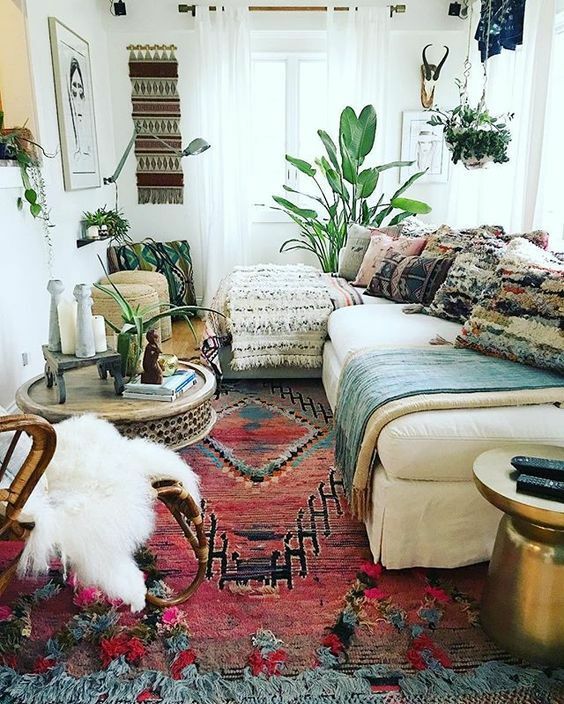 This could mean adding silk throw pillows on the couch or on the bed, or a few Moroccan-style floor cushions to the mix. 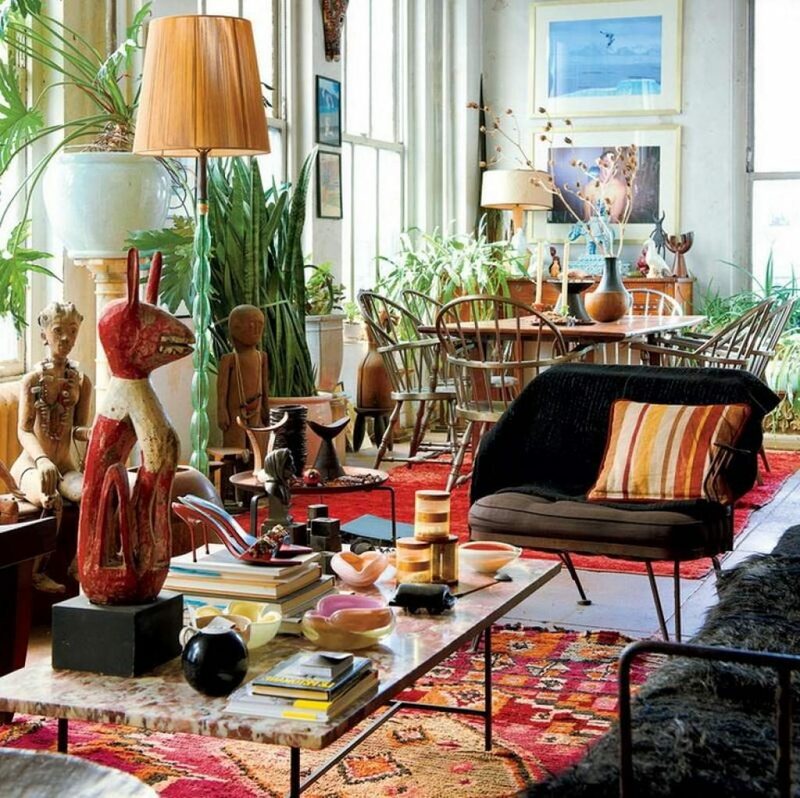 The ultimate aim here would be to create an authentic bohemian look. 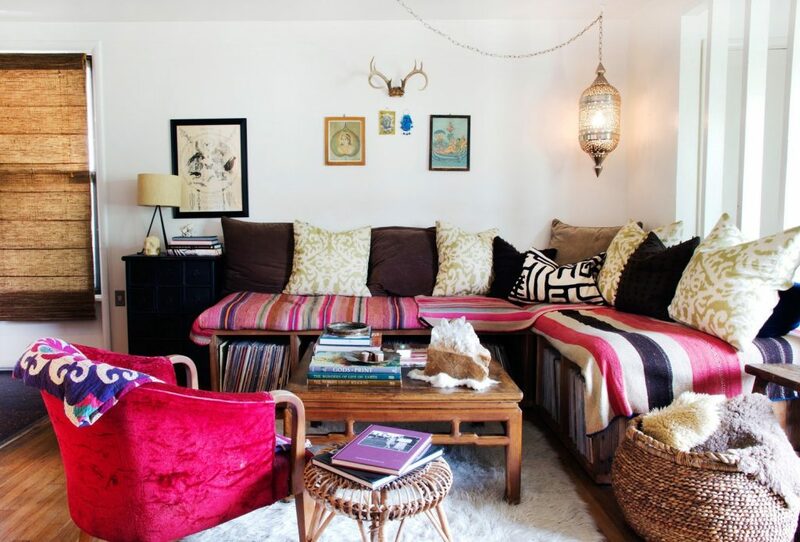 The type of lighting that you choose plays an important role in Bohemian décor. 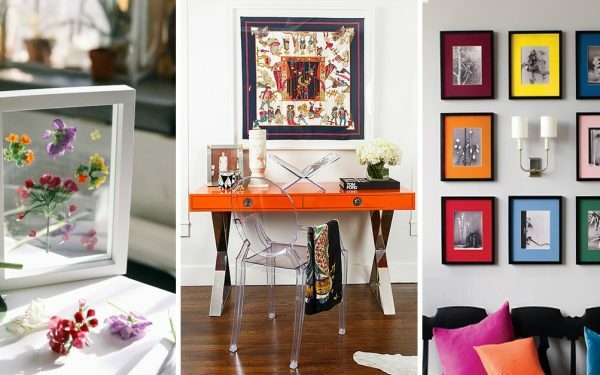 A lava lamp kept on a low stool in a corner of the living room would do the trick. So will a disco ball hung from the ceiling. 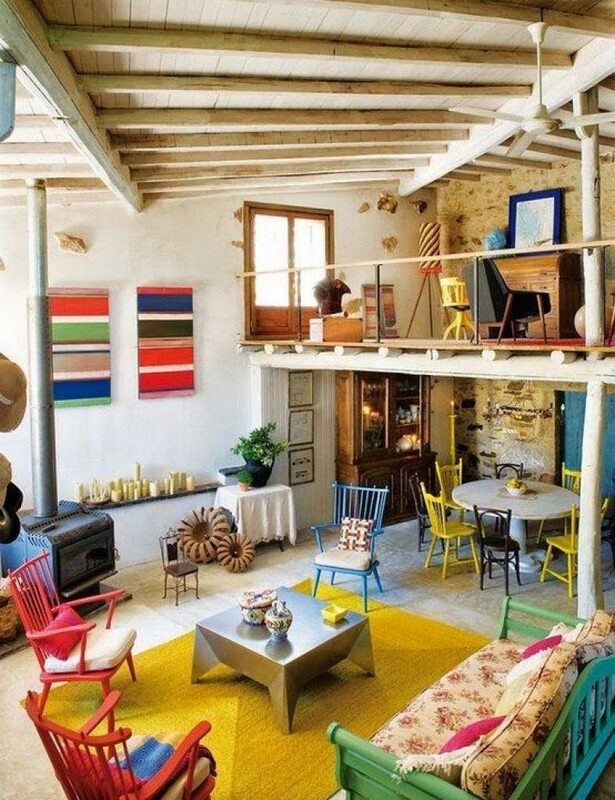 Remember it’s how well each aspect of the décor merges with one another, that gives a space a Bohemian look and feel. 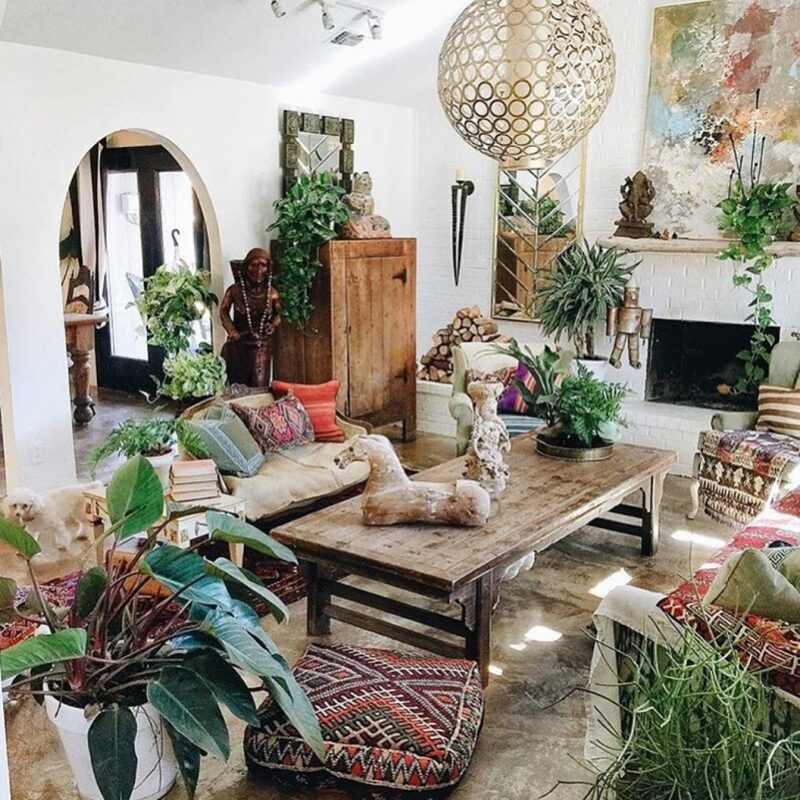 Another aspect that can amp up the bohemian feel of your décor is to add quirky, thrift-store bought furniture pieces to it. 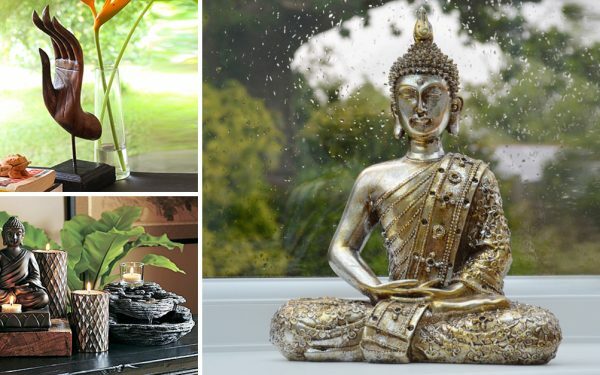 You can even buy vintage, distressed or eclectic-looking furniture from garage sales. 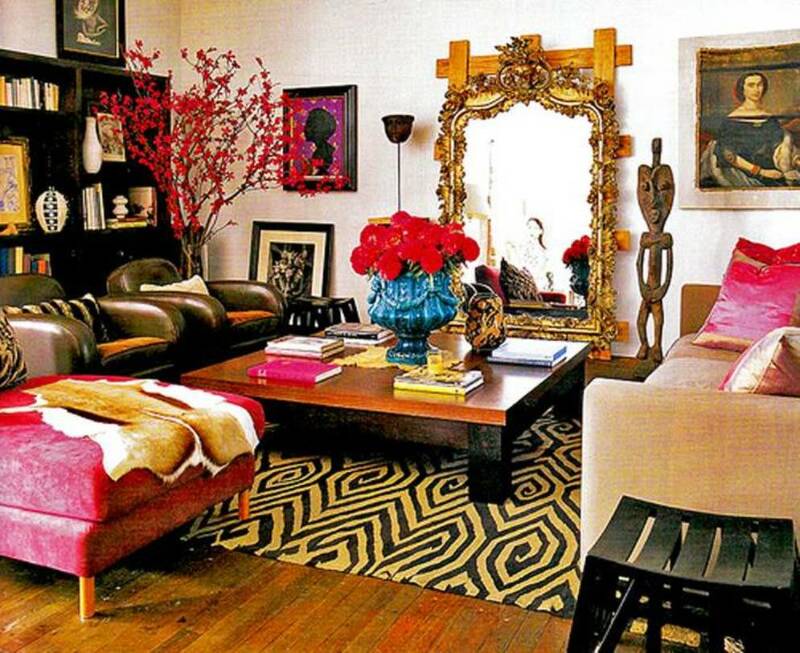 And as much as possible try not to match the various furniture pieces for an authentic Bohemian look. 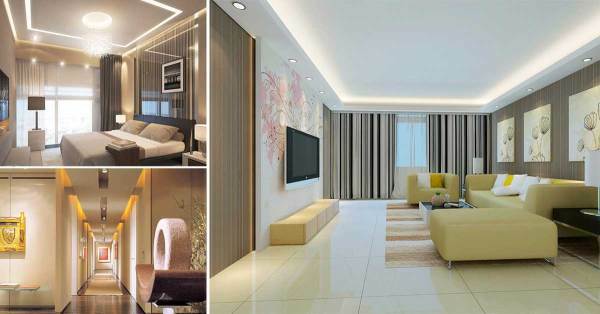 And last but not least, sprinkle the space with varied and out-of-the-ordinary accents. 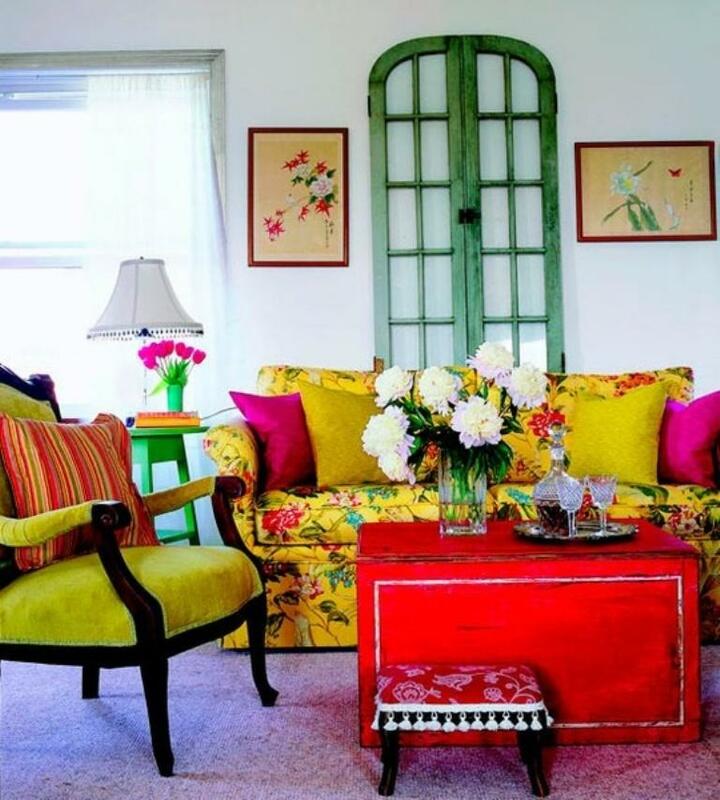 Be it colorful pottery displayed on a shelf, or an end table made by stacking vintage suitcases, the idea is to keep things multi-colored, visually complicated and diverse.